Hello lovely ladies. It is that time of the week again. Time to paaaaarty! We are making changes behind the scenes and cooking up new things to make this party even better, both for you as a reader and for those who link up. So let us know if you are liking the new changes and what we could do to make this party even better. We have a special guest host who picked this week’s features! 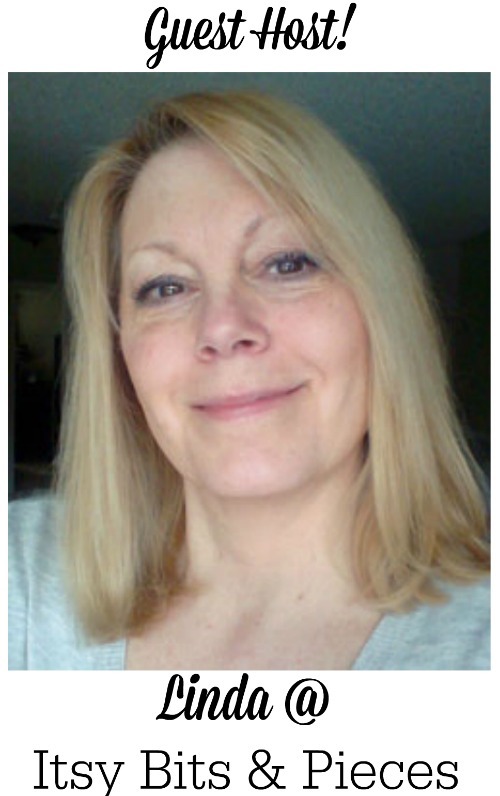 I’m Linda, from the blog Itsy Bits And Pieces! I love to decorate and create with vintage and thrift store finds! Thanks so much for having me as a guest host this week! At the Vintage Inspiration Party, your links will show up on 4 different blogs, giving you four times the exposure! These beautiful four ladies are your hosts and guides in all things vintage and they have been busy this week too. Look at their favorite posts from last week. Marianne @ Songbird – Make a new mirror look old. Faye of Wild Rose Vintage shared her charming Sewing Room, with a charming bed springs photo display. 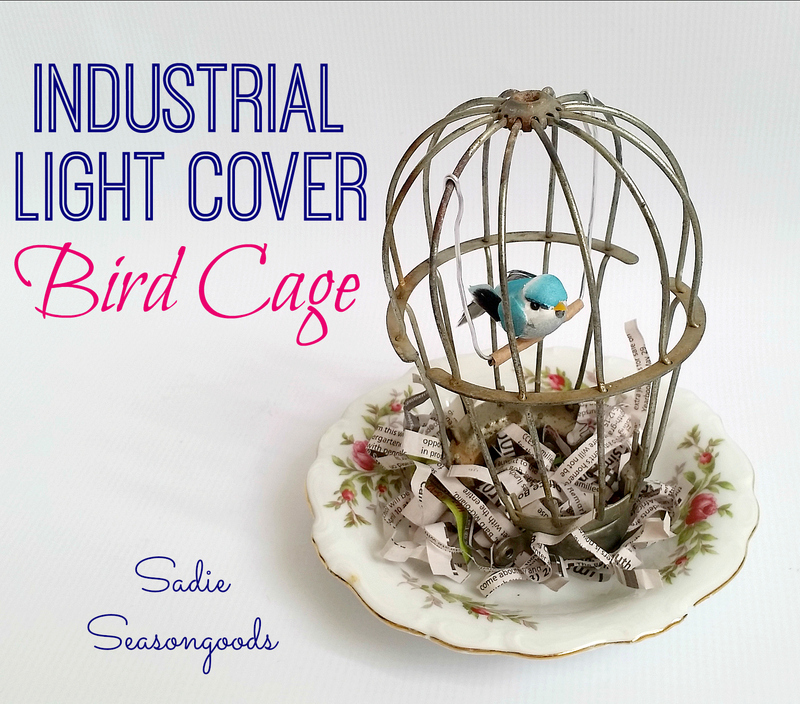 Sarah @ Sadie Seasongoods created this cute re-use Industrial Light Cover Bird Cage. David @ Cheltenham Road showed us how to use scrap to create these wonderful Rustic Wood Trays. 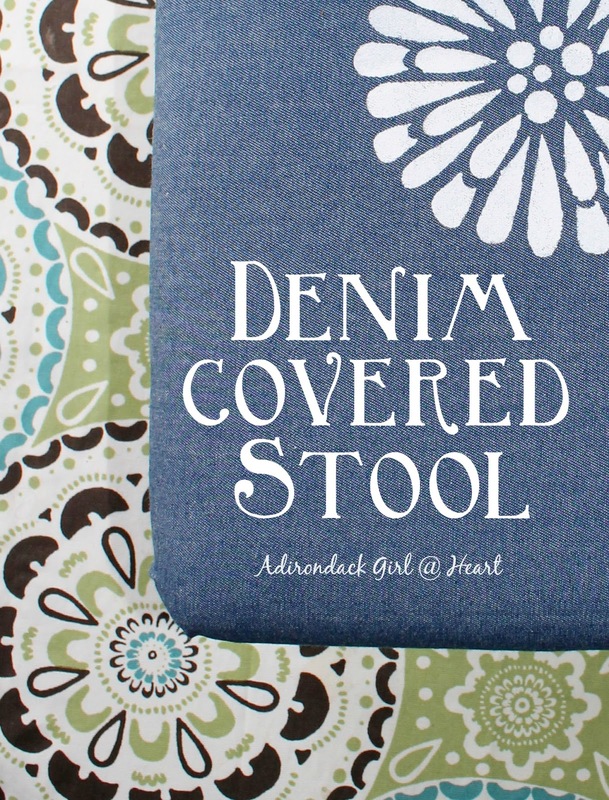 Diana @ Adirondack Girl shared her fun makeover with this Denim Covered Stool. Robin @ Happy At Home shared her new Quilt From Vintage Sheets. We have added some new features to the VIP. 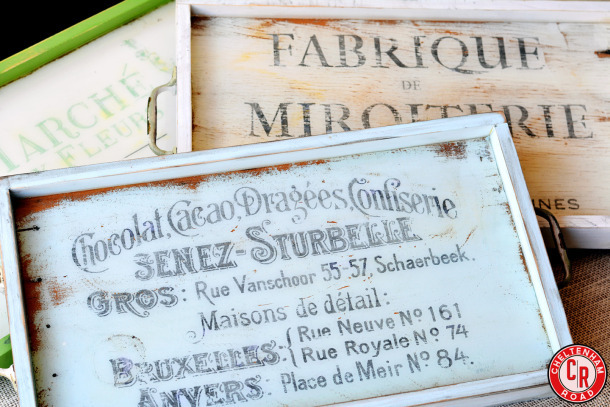 If you are not so lucky to be able to DIY yourself a vintage treasure or the shopping is just not that good in your neck of the woods, there is always the internet. So we are going to show off some of our favorite vintage treasures we would like to buy right now. This week’s vintage shop item is available from Simply Country Home. Isn’t that jewelry chest beautiful. Go check out the Etsy shop for more ‘ must have’ feelings. We would also like to introduce you to some wonderful blogs that we have discovered and fell in love with. Hop on over and tell them this is where you found them. This week’s featured blog is The Painted Poppy Studio. Now let’s get this party going. If you want to join and link up your finds and vintage/ upcycled projects go right ahead. But take a moment to browse the rules first. – You are welcome to share anything vintage or vintage inspired. This includes yard sale finds, repurposed and upcycled creations, family heirlooms, and even vintage or vintage inspired items you have for sale. If it’s been around awhile or just looks that way…share away!! No food links please. – Be sure to have a visible link to Songbird (or the other party throwers) within your post (text link is fine) within your post. Thanks so much for having me as a guest host, and for the sweet welcome. Marianne!